The first film released in the MCU was Iron Man (2008), which began the first phase of films culminating in the crossover film Marvel's The Avengers (2012). Phase Two began with Iron Man 3 (2013), and concluded with Ant-Man (2015). The MCU is currently in Phase Three, which began with the release of Captain America: Civil War (2016) and is set to conclude with Avengers: Endgame (2019). Phase Four will begin with the release of Spider-Man: Far From Home (2019). Marvel Television expanded the universe further, first to network television with Marvel's Agents of S.H.I.E.L.D. on ABC in the 2013–14 television season, followed by online streaming with Marvel's Daredevil on Netflix in 2015 and Marvel's Runaways on Hulu in 2017, and then to cable television with Marvel's Cloak & Dagger on Freeform in 2018. Marvel Television has also produced the digital series Marvel's Agents of S.H.I.E.L.D. : Slingshot, which is a supplement to Agents of S.H.I.E.L.D. Soundtrack albums have been released for all of the films, along with many of the television series, as well as the release of compilation albums containing existing music heard in the films. The MCU also includes tie-in comics published by Marvel Comics, while Marvel Studios has also produced a series of direct-to-video short films and a viral marketing campaign for its films and the universe with the faux news program WHIH Newsfront. In December 2017, The Walt Disney Company agreed to acquire assets from 21st Century Fox, including 20th Century Fox, for $52.4 billion. The following June, after a counter offer from Comcast worth $65 billion, Disney increased its offer to $71.3 billion. The acquisition would see the return of the film rights to Deadpool, and the X-Men and Fantastic Four characters to Marvel Studios, which would "create richer, more complex worlds of inter-related characters and stories". 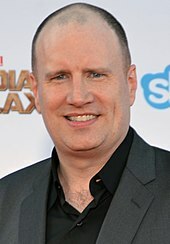 For the Russo brothers and writers Christopher Markus and Stephen McFeely working on Avengers: Infinity War and Phase Three, they saw "a through line from Winter Soldier, through Civil War, right to Infinity War", with films like Doctor Strange and Thor: Ragnarok laying groundwork for the "culmination" in Infinity War. Subsequently, they talked "to the directors and writers of the other Phase 3 movies on an almost weekly basis, to make sure everything lines up right". Peyton Reed, director of Ant-Man and Ant-Man and the Wasp, felt the relationship and collaboration between the Phase Three directors was "probably the closest thing that this generation will have to a '30s- or '40s-era studio system where you are all on the lot and you are all working on different things." Similarly, when developing the crossover miniseries The Defenders, showrunner Marco Ramirez consulted with the creators of all the individual Marvel Netflix series, having them read each of the scripts for The Defenders and provide insight into the individual character's world. 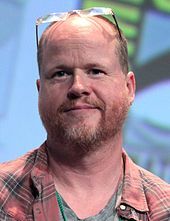 In April 2017, along with his announcement that he was returning to write and direct Guardians of the Galaxy Vol. 3, James Gunn revealed he would be working with Marvel "to help design where these stories go, and make sure the future of the Marvel Cosmic Universe is as special and authentic and magical as what we have created so far". However, in July 2018, Disney and Marvel severed ties with Gunn following controversy surrounding several old jokes Gunn had made. ↑ A version of the first two episodes debuted in IMAX theaters on September 1, 2017, and ran for two weeks, before their television premiere on ABC on September 29. ↑ WHIH Newsfront is an in-universe current affairs show that serves as a viral marketing campaign for some of the MCU films. The campaign is an extension of the fictional news network WHIH World News, which is seen reporting on major events in many MCU films and television series. This table includes characters who have appeared in multiple MCU media. A P indicates a new appearance in onscreen photographs only. ↑ Philbrick, Jami (April 26, 2010). "Kevin Fiege Talks Iron Man 2, The Avengers and More". MovieWeb. Archived from the original on March 27, 2013. Retrieved May 10, 2010. 1 2 Fritz, Ben; Harris, Dana (April 27, 2005). "Paramount pacts for Marvel pix". Variety. Archived from the original on February 12, 2014. Retrieved February 12, 2014. 1 2 Waxman, Sharon (June 18, 2007). "Marvel Wants to Flex Its Own Heroic Muscles as a Moviemaker". The New York Times. p. 2. Archived from the original on March 31, 2013. Retrieved February 1, 2009. 1 2 3 4 Leonard, Devin (April 3, 2014). "The Pow! Bang! Bam! Plan to Save Marvel, Starring B-List Heroes". Bloomberg Businessweek. Bloomberg L.P. Archived from the original on April 3, 2014. Retrieved April 3, 2014. 1 2 3 Russo, Tom (April 25, 2012). "SUPER GROUP". Boston.com. Archived from the original on November 22, 2013. ↑ Beall, Mark (September 14, 2006). "Marvel Avengers Update". Cinematical. Moviefone. Archived from the original on July 4, 2011. Retrieved August 2, 2010. ↑ Guedj, Philippe (May 2, 2014). "Avi Arad : 'J'ai pardonné à Kevin Feige, il suivait des ordres' (Exclu Daily Mars)". Daily Mars. Archived from the original on July 23, 2015. Retrieved July 23, 2015. ↑ Orange, B. Alan (June 5, 2009). "Marvel's Kevin Feige on the Future of The Avengers, Thor, Ant Man, Doctor Strange, and Captain America!". MovieWeb. Archived from the original on March 31, 2013. Retrieved October 19, 2010. ↑ Douglas, Edward (April 25, 2010). "Exclusive: Marvel Studios Production Head Kevin Feige". Superherohype.com. Archived from the original on March 31, 2013. ↑ Foutch, Haleigh (November 29, 2018). "Marvel's Netflix Heroes Were Considered for 'Infinity War', Confirm Russo Brothers". Collider.com. Archived from the original on January 12, 2019. Retrieved January 12, 2019. ↑ Shaw-Williams, H. (May 1, 2013). "Kevin Feige on 'Iron Man 3′ and the Shared Marvel Movie Universe". ScreenRant. Archived from the original on May 3, 2013. Retrieved March 5, 2015. ↑ Lussier, Germain (November 13, 2013). "/Film Interview: 'Thor: The Dark World' Producer Kevin Feige". /Film. Archived from the original on March 10, 2014. Retrieved November 16, 2013. ↑ Nicholson, Max (July 21, 2014). "Marvel's Kevin Feige Explains Upcoming Slate Plan". IGN. Archived from the original on July 23, 2014. Retrieved July 22, 2014. ↑ Vary, Adam (October 27, 2014). "What's at Stake For Thor, Captain America, And The 'Avengers' Franchise". BuzzFeed. Archived from the original on October 27, 2014. Retrieved October 27, 2014. ↑ "The Marvel Cinematic Universe Expands Through". Marvel.com. July 18, 2014. Archived from the original on July 19, 2014. Retrieved July 18, 2014. ↑ Huver, Scott (July 29, 2014). "SDCC: Kevin Feige Lays Out The Map For An Ever-Expanding Cinematic Universe". Comic Book Resources. Archived from the original on August 9, 2014. Retrieved August 6, 2014. 1 2 3 Sciretta, Peter (October 28, 2014). "Watch: All Of Your Marvel Phase 3 Questions Answered By Marvel Head Kevin Feige". /Film. Archived from the original on October 30, 2014. Retrieved October 30, 2014. 1 2 3 Goldman, Eric (March 6, 2014). "The Winter Soldier: Has America Changed Too Much for Captain America?". IGN. Archived from the original on March 10, 2014. Retrieved March 10, 2014. ↑ "Ant-Man Plot Points, Arrow & Sin City 2 Trailers, X-Men: Days, Avengers 2 Movie News". Newsarama. April 24, 2014. Archived from the original on April 25, 2014. Retrieved April 24, 2014. ↑ Sciretta, Peter (October 28, 2014). "5 Announcements We Could Get at Today's Mystery Marvel Event". /Film. Archived from the original on October 30, 2014. Retrieved October 30, 2014. ↑ Masters, Kim; Belloni, Matthew (August 31, 2015). "Marvel Shake-Up: Film Chief Kevin Feige Breaks Free of CEO Ike Perlmutter (Exclusive)". The Hollywood Reporter. Archived from the original on September 2, 2015. Retrieved August 31, 2015. 1 2 Faraci, Drew (September 2, 2015). "The Marvel Creative Committee Is Over". BirthMoviesDeath.com. Archived from the original on September 2, 2015. Retrieved September 2, 2015. 1 2 Kit, Borys; Masters, Kim (September 3, 2015). "Marvel's Civil War: Why Kevin Feige Demanded Emancipation from CEO Ike Perlmutter". The Hollywood Reporter. Archived from the original on September 3, 2015. Retrieved September 3, 2015. 1 2 3 Gerding, Stephen (September 30, 2015). "Feige & Latcham Say 'Infinity War' Leads to the End of the Avengers – As We Know Them". Comic Book Resources. Archived from the original on September 30, 2015. Retrieved September 30, 2015. ↑ Breznican, Anthony (April 15, 2016). "Will the Marvel Cinematic Universe ever ... end?". Entertainment Weekly. Archived from the original on April 20, 2016. Retrieved April 20, 2016. ↑ Chitwood, Adam (April 21, 2017). "Kevin Feige Says the Post-'Avengers 4' MCU May Be a 'New Thing', Not 'Phase 4'".